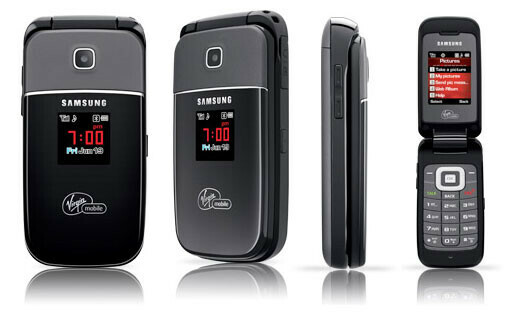 Virgin Mobile has been revamping their lineup of late with devices like the basic Kyocera Jax and messaging oriented X-tc. On one end you'll find a full featured device while the other being an inexpensive basic phone. If you're looking for a mid-grade device, then the Samsung SPH-m340 Mantra flip phone might fit the bill with its decently packed features without the expensive cost. The Mantra is now available for $59.99 on their web site and features a VGA camera, Bluetooth, and 8MB of user memory. It may be a good solution for anyone looking for something a bit more full featured than the Jax and not too expensive like the X-tc.